we wish Father the best outcome from those who hold him in high regard who recognize his many gifts to the people —and want his reputation returned to him as he was so well loved before all this ever took place. He remains well loved and respected for his honesty and sincere love of the church and his sincere love of his priesthood. Our promised prayers continue for Father Christopher! We are sad for all the stress and awful effect on his health that this has unfortunately caused him ! Let him know the rewards of his deep faith, hope and love –just as Jesus Himself has given him in his lifetime. May Father’s Mother and also Mary Our Mother be with him and give him strength and joy he needs to go forward! We wish him the best this Friday and we wish him the Peace of Jesus. He truly deserves both! God-please bless our friend Fr Christopher. Beautifully said, Mary Jo! Thank you for putting into words what we all feel and pray for! 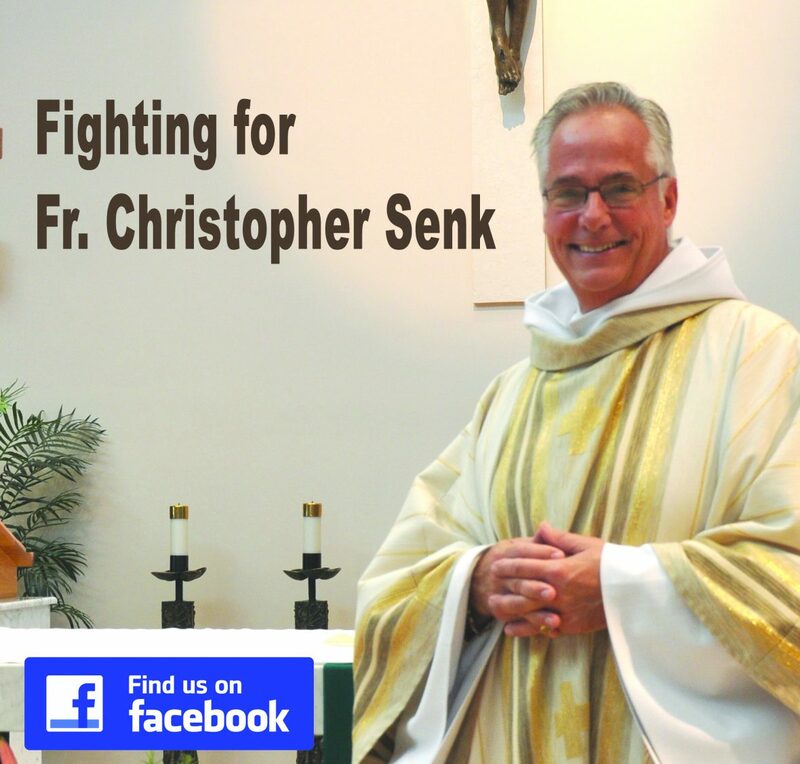 Dear Fr Chris our continued prayers are with you always but especially today! You have fought a courageous battle with dignity and love. You are never alone…Jesus is always with you!